I have had a Team Associated RC18T since they first came out back in 2004 -2005 and absolutely love it. These battery powered models are 1/18 scale. Stock standard models come with simple brushed motors and offer relatively average performance however when upgraded and modified with various brushless systems available in the market these cars can reach well over 80km/h. 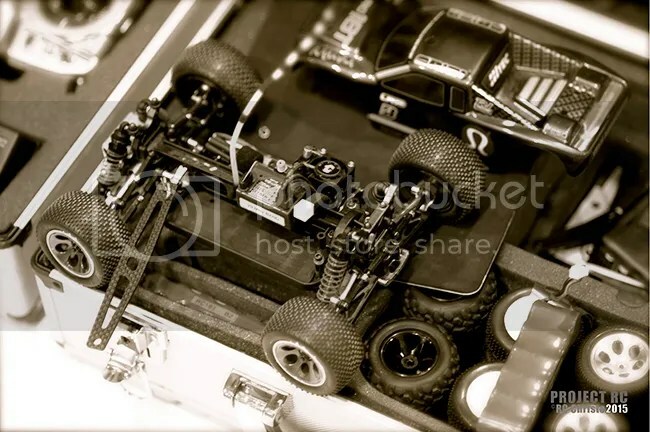 Their simplicity in installed components and chassis design make it a very durable RC truck. They are relatively simple to build and maintain and are a refreshing change when compared to working on 1/10 or 1/8 scale RC models. Over the years my RC18T has been modified countless times to a point where I was quite happy with it. But there were always a few things I felt could be improved, but never got round to doing it. A few months ago the Hitec steering servo started to fail on my already modified RC18T… So I went online to find a better replacement, and well, it all started from there to deciding to build a completely new machine from the ground up. I could have chosen to build the newer RC18T2 but I am generally not a fan of belt-driven transmissions on off-road trucks which the RC18T2 has. In addition I was able to test drive an RC18T2 some time ago and was not overly impressed enough with its design, performance and build quality to make the change to a version 2. In my opinion the RC18T2 is an inferior design over the RC18T. The change to a belt driven system was in my opinion a change for the worse as it is far more complicated than a shaft drive, is more susceptible to belt breakage and transmission problems and this was one of many flaws. In my opinion Team Associated should have stuck with the overall RC18T chassis and shaft transmission design and simply improved its durability, added a slipper clutch, a little bit more room for larger brushless motors and esc’s and more room for LiPo’s. This would have been a far more superior truck to the current RC18T2. This new custom build is my attempt to build the ultimate RC18T through component fabrication and aftermarket upgrades. This article is to document the build process and contribute some knowledge on the various issues I dealt with, that other owners of RC18Ts may have come across. Feel free to write a comment or ask me questions about this build. Cover photo and photo above is my RC18T in 2005 (Truck 1). So after some consideration I decided to build a brand new truck from the ground up (Truck 2). My existing truck (Truck 1) will be re-built and re-tuned for my girlfriend and or mate’s to use. After having the RC18T for so long, knowing its quirks, and what works best for me I felt it would be a great project to build a new one with maximum performance and durability. 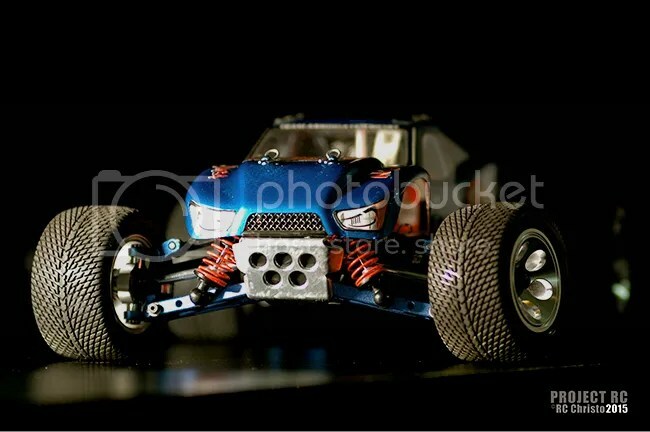 Various manufacturers of RC18T aftermarket parts has been used for this custom build. They have been chosen based on their products overall function, durability and experience with them with previous builds. As the RC18T is quite a few years old now, some aftermarket parts are becoming scarce and hard to come by, specifically some aftermarket alloy and titanium chassis components, exotek transmission upgrades and pro-line tires. However many stock and upgrade Team Associated parts for the RC18T are still available on eBay and various other online stores. If you have a question regarding where to find particular aftermarket parts used in this build, feel free to contact me via the blog and I will do my best to guide you to the right places to find these parts. There are many custom modifications done on this new extensive build which involves not only assembly but also fabrication of new components and modification of stock and aftermarket components. This build article will describe my particular steps and procedures for the build. This article will contain additional links to other articles I have written in this blog which will describe in detail the various custom build procedures and component fabrications involved with the new build of (Truck 2). Amazing build thread so far!! I am curious what wheels / tires you are running on your RC18T? Your aluminum fabrication work is truly beautiful! Keep up the awesomeness!! I mainly run two different wheel and tire combinations, one for on-road and one for offroad. On-Road (Mostly Used): Aluminium 6 spoke wheels with Pro-Line Mini Road Rage tires. Off-Road: Traxxas Mini SCT Wheels with Traxxas Mini SCT tires. These require using a 12mm wheel hex adapter. I ‘belt’ the tires prior to installation then balance the assembled wheel and tire. I will publish a ‘How To’ article on the assembly of the on-road wheel and tire setup, on my site in the next few weeks. working on an rc18r and came across this!